Salt Flats Bolivia: Our latest guide to the Salar de Uyuni, the incredible white desert and giant mirror quickly becoming one of the top must-see destinations in South America! Get information on how to get there, the Bolivia salt flat tours you can take and useful tips! The city of Uyuni is around 10 hours South of La Paz city by land. You can get to the salt flat by overnight bus or flying - see some options. Salt Flat tours - Single day, two day and 3 day options - tips and advice here. When it rains, water covers its surface and it becomes the "world's largest mirror". Star Wars: The Last Jedi had a prominent scene filmed here. One day, your car may run on a battery made with the lithium mined here. The salt flat is accessible by land from La Paz via Oruro or from Sucre via Potosí. 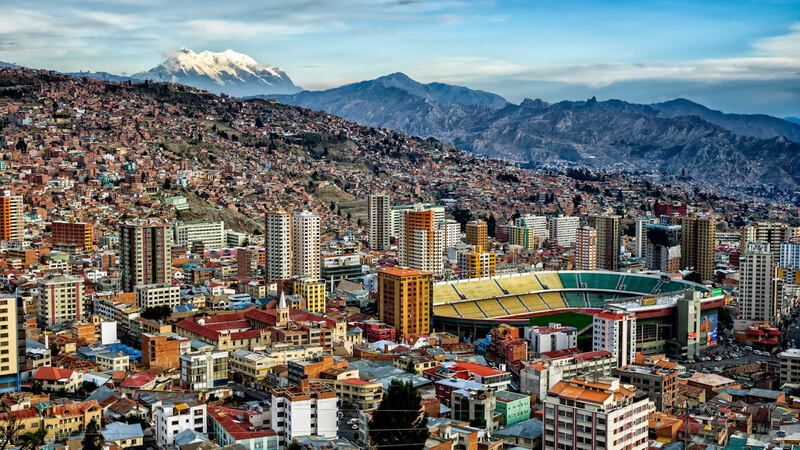 You can get to La Paz with an international flight. Another popular route is via San Pedro de Atacama in Chile. 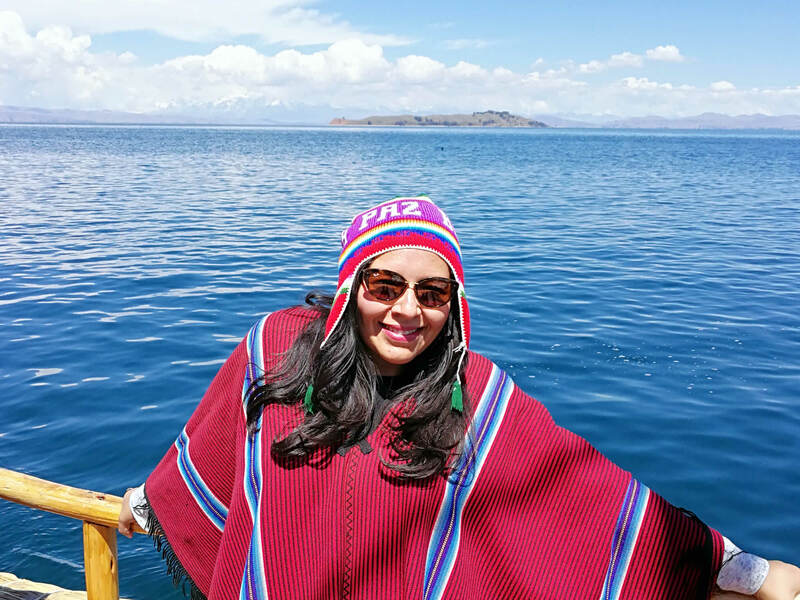 From La Paz, the trip takes 10 hours in a bed (cama) or semi-bed bus overnight, allowing you to arrive early in the morning, have breakfast, do a bit of shopping and start your tour the same day. Todo Turismo is the most recommended bus company. From San Pedro de Atacama in Chile, you can get a shared or private transport to the border crossing and start your tour from there. It is really not worth it going to Uyuni by bus from San Pedro. Take note though that while Uyuni is very close to the salt flat, you will need to pass through the village of Colchani to be able to enter the salar. Also, most salt hotels are located in Colchani, about 40 minutes away by car from Uyuni, and not in the town itself. If you are not flying, then Todo Turismo is probably the best way to get from La Paz to Uyuni or from Uyuni back to La Paz. The company has recently acquired new bed buses, but they still operate the older semi-bed (160 degree reclinable seats) buses sometimes. Once in Uyuni, you can start your bolivian salt flats tour. The road to Uyuni from Potosí is now completely paved and travel time has been significantly reduced. Hence, you can even take a taxi or hire a minivan to reach the town of Uyuni. 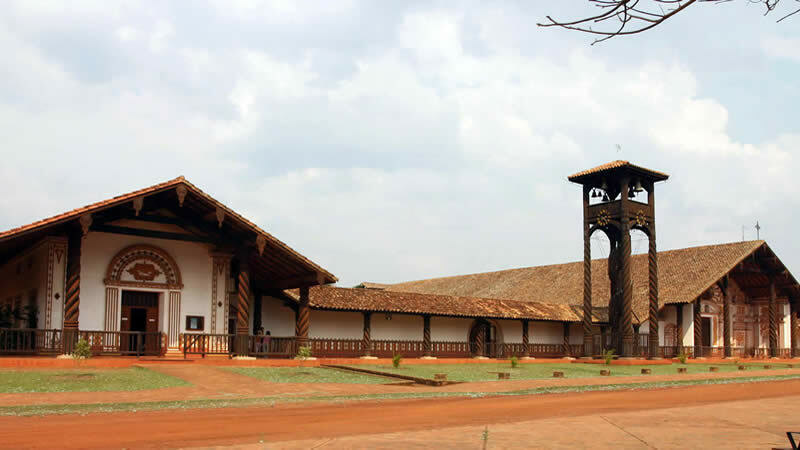 Sucre has an airport and is a beautiful city to visit with a lot of history and architecture. A train from Oruro to Uyuni is a slower and therefore less convenient option for travelling to the salt desert. There is no train connection between La Paz and Oruro, therefore you would still need to take a bus to get there. You can also opt to continue your trip from Uyuni to Villazón by train. First of all, the Salar de Uyuni is a top attraction you cannot miss during a trip to South America. Local tourist infrastructure is less advanced than in neighbouring countries and due to the high demand we strongly recommend that you book your tour, accomodation and transport well in advance. 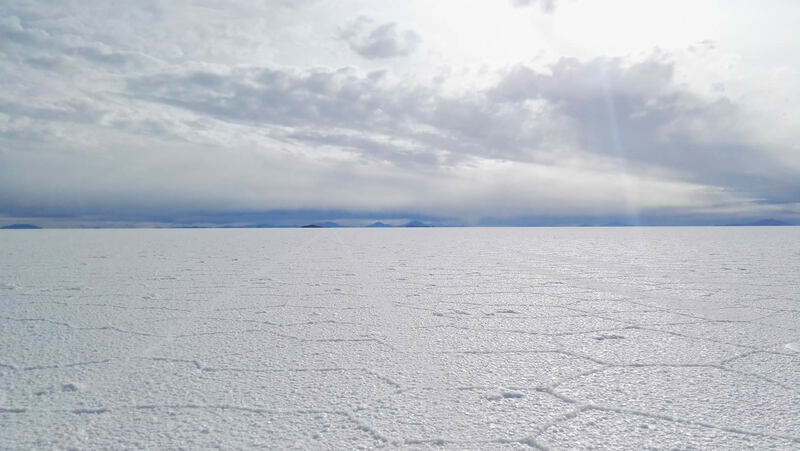 1 Day Tour - a full day tour of the salt flats, starting an ending in Uyuni town. It can include a visit to the feet of the Tunupa volcano. A good quality tour will also include sunset, stargazing and sunrise inside the salar (you will need to stay the night in Uyuni for these). Shared and private tours are both available. 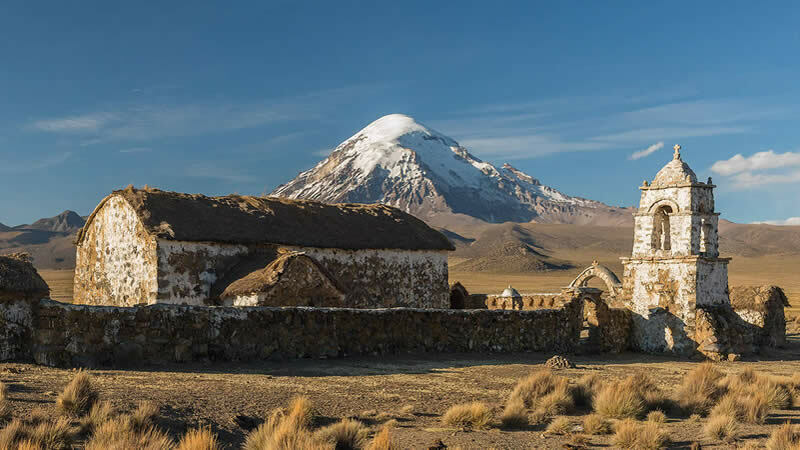 2 Day, 1 Night Tour - you will get to visit the salt flat, some minor lagoons called "Andean Jewels", or climb the Thunupa volcano for spectacular views. Sunset, stargazing and sunrise inside the salt flat is included. 3 Day, 2 Night Tour - Start and finish in Uyuni, or finish in San Pedro de Atacama. If coming from San Pedro de Atacama, this 3 day tour will finish in Uyuni. You can share a vehicle (between 6 passengers and the driver), or for a bit more get your own private jeep with driver and a custom itinerary. 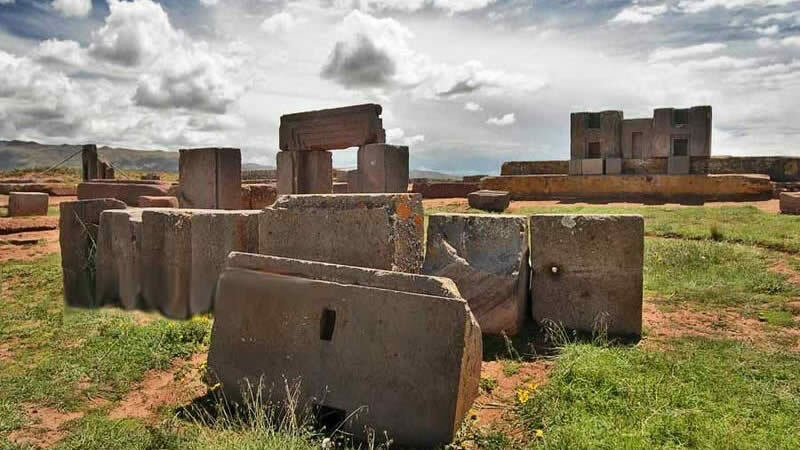 In addition, a 4 or 5 Days Tour is also availabale and generally starts in Tupiza or Villazon and ends in Uyuni town or San Pedro de Atacama. A 4 day tour can also start in Uyuni or San Pedro de Atacama and end in Villazon or Tupiza. The extra day is due to the large distances travelled. It is somewhat more difficult to find shared tours for this option. English speaking guides are not standard but can be requested for a fee. All tours in and around Uyuni are conducted in 4x4 vehicles as a result of the remoteness of the area and the rough terrain. A One-day tour of Salar de Uyuni is only available from Uyuni itself. You can arrive early in the morning in Uyuni town by taking a bus from La Paz the night before and starting the tour at around 10:00. Alternatively, you can also take a flight the same morning of the tour if you would not like to travel in a bus the whole night. While it is possble to return to La Paz the same day of the tour, we do not recommend it as this way you would miss the sunset and the stargazing in the Salar de Uyuni. 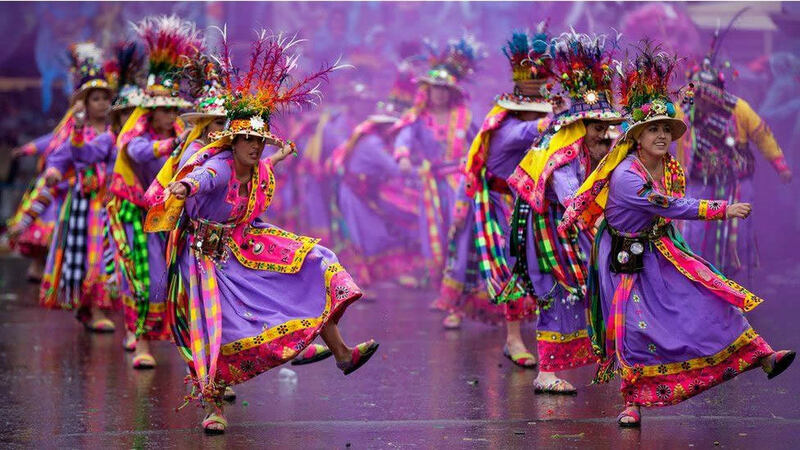 Consequently, it is better to return to La Paz the next day. During a full day tour of the Salt Flat you will visit both Colchani village and the Train Cemetery. Isla Incahuasi is also included, as well as a visit to the former Salt Hotel Playa Blanca (now closed) and the Dakar monument nearby. Theres is plenty of time to take photos in the salt flat. Most tours also include watching the sunset inside the salar. Visits to the Thunupa volcano and stargazing tours inside the salt flat at night are usually optional but highly recommended. Wait for sunrise for an even more spectacular experience! Prices can vary a great deal according to the level of service you require. The most basic, standard shared tours are dirt-cheap, starting around 80 USD, but you shouldn't have high expectations. While premium, customized private tours are more expensive, in contrast you get a lot more value for your money and a truly unique experience. Consider this option if you are traveling with kids or just want more than a backpacker experience. If you would like to see a bit more of the Salar and the surrounding area but don't have three days for a full circuit, then this is probably a great option. 2 days will give you enough time to enjoy the spectacular visuals of the salar's sunset and sunrise, marvel at the sky full of stars and see the great white desert from high up on the peak of a great colorful volcano. Alternatively, you can opt to visit the smaller andean lagoons that are closer to the salt flat and harbor amazing andean fauna. The red and green lagoons are too far away to visit, you need a 3 day tour for that. 3 Day Tours of Salar de Uyuni may start from Uyuni, San Pedro de Atacama or Calama in Chile, as well as from La Paz by flying to Uyuni. This is the most popular and complete salt flat tour option and you can end the tour either in Uyuni, La Paz, San Pedro de Atacama or Calama. During a 3 day tour you will visit all of the important tourist attractions in the area. Shared tours will only offer you basic (an understatement) accomodation and may feel a bit crammed, especially in the last row of seats in the jeep. By contrast, private 3 day Salar de Uyuni tours can include the best hotels in the area and you can stop at any time to take pictures or rest. For the first day the tour itinerary will depend on where you start from. If leaving from Uyuni, it will be about the same as a one-day salt flat tour. If you start the tour from San Pedro, you will see the coloured lagoons first and visit the Bolivian Salt Flat on the third day. Pink flamingos: the three species of South American flamingos - Chilean, James and Andean come to the colored lakes and lagoons to breed each November. The Laguna Verde has beautiful green waters and is located near the border with Chile at the feet of the Licancabur volcano at a height of 4300 (14,000 feet) above sea level. The greenish coloration is due to deposits of copper minerals. The Laguna Colorada (Red Lagoon) is a lake with crimson coloured waters, also due to the accumulation of minerals. The large flocks of pink and grey flamingos living at this height and such low temperatures create a unique and spectacular scenery! The 3 day tour can also end in San Pedro de Atacama and you will not miss any attractions. The best way to get to Bolivia from Chile is by taking a tour to Uyuni. Traveling by bus is not recommended as you would miss almost all the wonders this barren region has to offer. The best and most popular way to visit the Salar de Uyuni is by taking a 4x4 tour across the salt flats and the deserts and mountains around it. While most Salt Flats tours are safe and reliable, the conditions are basic in this area and you should be aware of this. Keep in mind that because the tour is done in inhospitable places it is very difficult for an ambulance to arrive quickly. The nearest health center is located in the city of Uyuni located 35 minutes from the Salar de Uyuni. The Uyuni terrain is quite hostile and sometimes even the hardy 4x4 vehicles suffer damage. Therefore you will need a little patience in case it is necessary to change the vehicle's wheel. The drivers have experience and skill when performing the maneuver. It is also advisable not to stray too far from the estabilished tour routes, so that other cars can assist in case it becomes necessary. Furthermore, the jeeps often travel in small groups for extra safety. It is also important to do a medical checkup in your country of origin before taking this tour. The route reaches high altitudes that can affect your blood pressure. During the rainy season, the Salar de Uyuni has plenty of water for you to walk on, but the salt and water may ruin your footwear, so be aware. Bring both sneakers and flipflops. Nights are always cold, especially in winter, so be sure to bring warm clothing. If you will not return with the tour to Uyuni, you will put your main luggage on the top of the vehicle and will need to carry a backpack with what you need. It is especially important to bring extra cash as there will be no ATMs for a large part of the tour. Though all food and lodging is covered, there are still things you need to pay for, like park entrance fees, "tolls" in local villages, souvenirs, bathrooms etc. You are likely to take hundreds of pictures because of the amount of sights you'll be seeing in such a short period of time. So bring a backup battery (no electricity in the desert) and memory card. If you are traveling from North to South, you will travel from La Paz to Uyuni. If traveling from South to North, you will enter Bolivia from San Pedro de Atacama in Chile or from Salta in Argentina. A 3 day tour of the bolivian salt flat is the usual option. 1 or 2 day tours are ideal for those with little time while longer tours are also available for those with an explorer's spirit. 3 day or longer tours can finish in San Pedro or Calama (if you want to go to Chile after visiting Bolivia). Take a night bus from La Paz to Uyuni (10 hrs). Arrive in Uyuni early in the morning and take a one day basic shared tour. The same evening (at around 19:00), take a night bus back to La Paz. Todo Turismo is probably your best option for buses to and from Uyuni while Panasur bus is a budget choice. For detailed information on a 1, 2 or 3 day salt flat tour, click on any of the links below to get a full and detailed itinerary and tips on what to bring, etc. The tour starts from Uyuni. You will depart towards the Salar. The first stop is the Train Cementery where you'll see a place that shelters dozens of old locomotives and wagons. You will then travel to Colchani, a small village of salt producers located about 40 minutes from Uyuni. You'll see the salt workshops and a very rustic way of edible salt production. You will have some free time to buy salt handicrafts. After this short visit, you will enter the wonderful Salt Flats of Uyuni. At the entrance of the salt flat you will see the piles of salts that are later refined. Next you'll see the "Eyes of the Salt Flat" (Ojos de Sal), which are small streams of water that flow from the interior of the salar. You will visit Statue of Salt erected to mark the passing of the Dakar Rally in Bolivia. Then you will walk to the old Hotel de Sal Playa Blanca, the first hotel made entirely out of salt. Next to the former Hotel there is a small mound with several flags from around the world. These have been left by travelers visiting the Salar de Uyuni. Lunch is served while enjoying the beautiful landscape inside the Salar. After lunch, you will continue our trip traveling to the Incahuasi Island, where you will see the giant cacti and petrified coral formations. If you climb the Incahuasi Island, you will have a 360 degree view of the Salar de Uyuni and a privileged view of the Tunupa Volcano. The surface of the Salar de Uyuni has near geometric shapes formed by the salt particles agglomerated in polygons. In the rainy season (December, January, February and part of March) the Salar is covered with water and resembles a giant mirror. Now is the time to take pictures with the endless perspective and post them on Instagram! Take even more photos inside the salt flat while witnessing a wonderful sunset. Later you will return back to Uyuni arriving in town at round 18:30. Entrance fee to Incahuasi Island: 30 Bs. (4,3 USD.-) per person. Dinner and accommodation in Uyuni. Leaving Uyuni town towards the salt flat. The first stop is the Train Cementery where you'll see a place that shelters dozens of old locomotives and wagons. We will then travel to Colchani, a small village of salt producers located about 40 minutes from Uyuni. You'll see the salt workshops and a very rustic way of edible salt production. You will have some free time to buy salt handicrafts. After this short visit, you will enter the wonderful Salt Flats of Uyuni. At the entrance of the salt flat you will see the piles of salts that are later refined. Next you'll see the "Eyes of the Salt Flat" (Ojos de Sal), which are small streams of water that flow from the interior of the salar. After lunch, you will continue our trip traveling to the Incahuasi Island, where you will see the giant cacti and petrified coral formations. If you climb the Incahuasi Island, you will have a 360 degree view of the Salar de Uyuni and a privileged view of the Tunupa Volcano. The surface of the Salar de Uyuni has near geometric shapes formed by the salt particles agglomerated in polygons. In the rainy season (December, January, February and part of March) the Salar is covered with water and resembles a giant mirror. Now is the time to take pictures with the endless perspective and post them on Instagram! Take even more photos inside the salt flat while witnessing a wonderful sunset. Later you will got your hotel to spend the first night. The second day the tour will take you to the southern part of the region with wonderful landscapes decorated by volcanoes, lagoons and Andean fauna. During the tour you will cross the Salar de Chiguana, which has a lower salt concentration. On the way you will see many rock formations and the Ollague volcano located on the border of Bolivia with Chile. Lunch in the middle of the desert. You will enjoy the beauty of the Cañapa, Chiarkota, Honda / Corazón (4,114 m.) and Hedionda (4,532 m) lagoons. They are all surrounded by mountains and during the winter you can see the snowy peaks. It is impossible to take a bad picture of these landscapes as they are all worthy of a postcard. Going further south you will enter the Siloli desert. 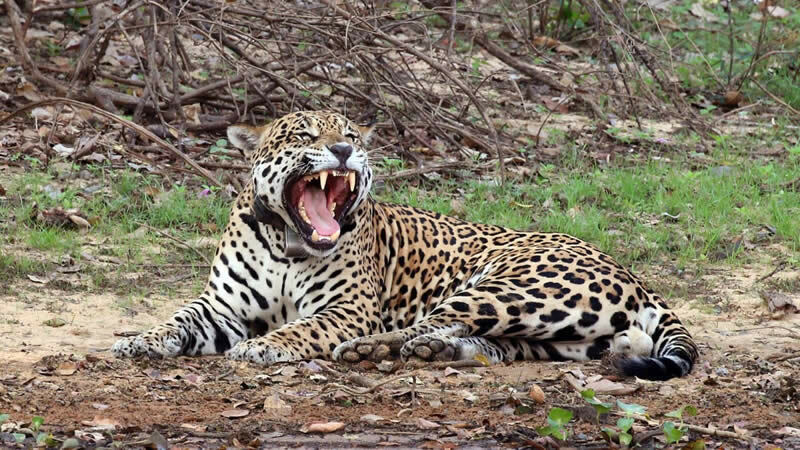 Private tours will stop at the Hotel del Desierto Tayka, while shared tours will continue towards the basic shelter in the Eduardo Avaroa national park. A famous stop is at the Rock Tree, a rock formation shaped by the constant wind. Later that day, the last stop will be at the amazing Red Lagoon to see some pink flamingos and the redness of the water . After breakfats, you will drive to an active volcanic area where the Sol de Mañana geysers throw out hot steam and mud boils in large pits. Be very careful here, they are very hot and as a result falling into one of these can be fatal! 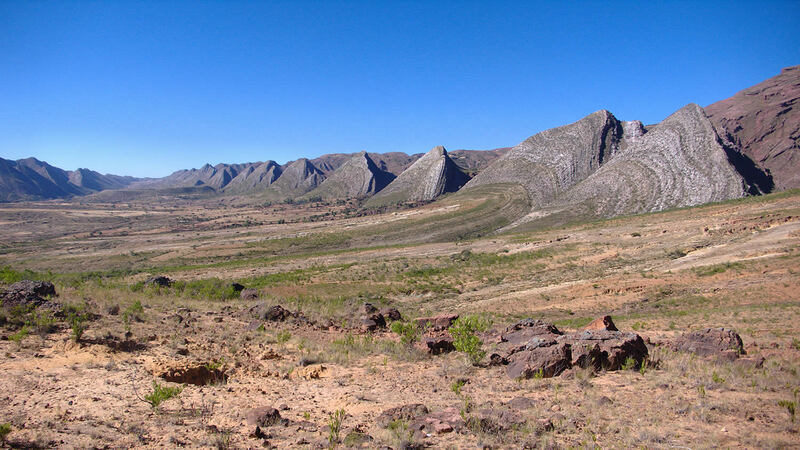 You will head towards the Salvador Dalí Desert. The surreal landscape is dotted by strange rock formations. Lunch is usually served at the Polques hot springs where you can take a relaxing bath in the thermal water pools. Next, you will visit the Green Lagoon and the White Lagoon at the feet of the Licancabur volcano, after which the tour will turn back towards Uyuni. You will see the White and Black Lagoons and cross small forests of queñuas and high Andean bofedales and wetlands. There will be stops along the way for photos, bathroom breaks and leg stretching. You will arrive in Uyuni. Optional transfer to San Pedro de Atacama in Chile. Incahuasi Island: 30 Bs.- = 4.5 USD per person. Eduardo Avaroa National Reserve 150 Bs. - = 22 USD per person. Bring Bolivianos in cashas it is not allowed to pay with dollars or another currency. Bathing suit and towel (for the Polques hot springs). Sleeping bag (for shared tours). You may also rent one from the tour operator. Bring fun and interesting items: Star Wars figures or vehicles (for a great Last Jedi battle on Planet Crait), dinosaurs or action figures. Even simple props such as glasses, bottles, rubber boots, and whatever you happen to be carrying can all be turned into something funny and useful. To set up for the shot the you need to rest the camera on the ground or a tripod to make positioning much easier; holding the camera in your hand makes it next to impossible. Never activate zoom on your camera or place the objects too close. This could result in ruining the effect by leaving the objects further away slightly out of focus. Take lots and lots of shots since it's not so easy to see your camera screen in the glare and you might never be back here again. The perfect shot may be completely accidental. One additional point: watch the ground. Forced perspective works best when the object in the distance appears to not be touching the ground and is instead on top of the object in the foreground. The best illusion occurs when the ground is not seen and shadows and other distance cues are hidden away. Making people jump in the air is a last resort shot that almost always comes out great. Salt Flats Bolivia - FAQs - Answers to your questions! There is no good or bad time to visit the salt flats, it is simply a question of what you are looking for. The best time depends on your preference of what you want to see. Many say it is best to go in May or November when the weather is mild, but keep in mind that the salt flats will be dry. During winter (June - August) the Salt Flat is a huge white beach-like desert. At the beginning of every year (January to April), the Salar becomes the largest natural mirror in the world. As this giant desert of salt is covered by water during the rainy season, it reflects the sun, the sky and the stars creating almost impossible optical illusions. 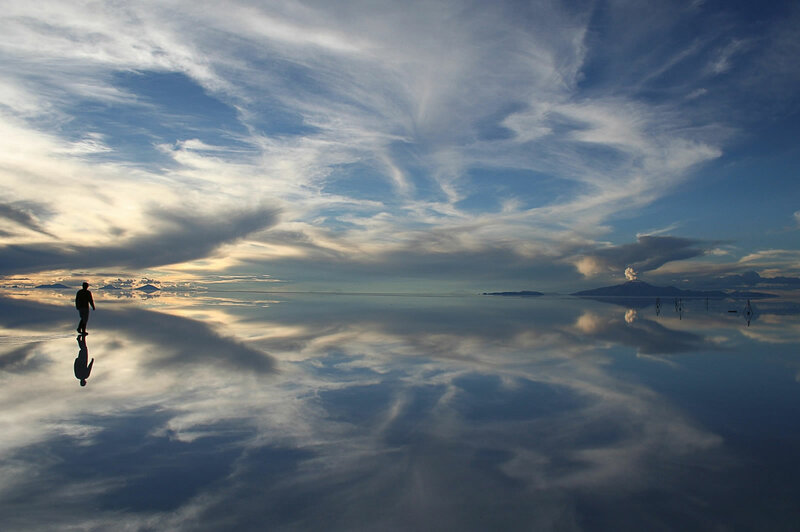 This time of the year is highly popular with tourists for visiting Uyuni. Even if most of the salt flat is dry, experienced drivers can often find a place that lets you see the reflections. That is a 2 in 1 experience! December is a month that is hard to predict. It may be bone-dry or the salt flat can be completely flooded and largely inaccessible. But honestly, any time of the year it is truly spectacular. Any month you choose, you will not regret your choice! What are my chances of getting altitude sickness in Uyuni? The salt flats are already located at a very high altitude, at over 3600 meters above sea level. In addition, at some points during the 3 or 4 day tour you will reach altitudes of nearly 5000 meters. Therefore you should to try to spend a few days at a high altitude place (like La Paz or Potosí) in order to allow your body to get used to the reduced oxigen levels. Altitude sickness can affect anyone, even those in great physical shape. Not everyone gets sick at high altitudes and it is difficult to predict who is likely to suffer. Mostly you can expect a headache and some nausea that should diminish over 1 or 2 days for most people. Just in case, you can ask for an oxygen bottle to be at hand. What can I do prevent severe altitude sickness? Keep yourself hydrated and slow down! Both of these are very important. Your body is suffering because you don't have enough oxygen so avoid any excessive activity. Coca leaf tea is a traditional remedy (and no, it does not contain any illegal substances or drugs). The native people of South America have been chewing coca for centuries for its effectiveness in reducing the symptoms of mild altitude sickness. Consequently some hotels offer coca-leaf tea for free and you can always ask for it in cafés. Soroche pills are the pharmaceutical solution and can be purchased in any pharmacy in Bolivia. If you have asthma, high blood pressure or heart problems, you should always consult your doctor before traveling to high-altitude areas. To visit the Uyuni Salt Flats, you do not need any vaccination. If you would like to continue your trip to the Amazon area, you must get vaccinated against yellow fever in advance. Where can I start the salt flat tour from? 1. From Uyuni (Bolivia). Tours can start at the town of Uyuni. In this case, you will need to travel there first on your own. The buses to Uyuni travel overnight, departing La Paz in the evening and arrive in Uyuni the next day at approx. 07:00. You can also fly. 2. From La Paz (Bolivia). You can also book a tour leaving from La Paz. In this case, transportation to Uyuni via bus or airplane is included. 3. From San Pedro de Atacama or Calama (Chile). When starting your tour from Chile, you will first be transported to the Bolivian border, where you will need to change vehicles since chilean tour operators are not allowed to enter Bolivia and vice versa. Most tours start at 10:00 - 11:00. It is strongly recommended to book your Uyuni tour online, NOT in Uyuni itself. What will I see in a Salar de Uyuni Tour? Endless rocky desert, high mountains, colored lagoons, pink, white and grey flamingos, geysers, lakes belching sulfur, dormant and active volcanoes (smoking sometimes), hot springs, cactus covered coral islands, a train cemetery … and many more things! If you arrive in Uyuni early in the morning then it is possible to start a tour the same day. Most of the tours will start 10:00 -11:00 in the morning. If you don't want to see the sunset after a full day tour, then you can return to Uyuni by 17:30 - 18:00 pm and hence you will have time to eat and take an overnight bus back to La Paz, Potosí or Sucre. You should book these buses before taking your trip of the Salar. In conclusion, while it is not necessary to stay in Uyuni after a 2 or 3 day tour, you should consider it when taking a 1 day tour. Bring cash with you. Since it is a very remote place, sometimes the ATMs and card readers do not work in Uyuni, therefore it is best to take out any money you need in advance. It is quite annoying to be stranded there without being able to pay for anything. Also, there will be no ATMs anywhere in the desert during the tour. Are the entrance fees to the Eduardo Avaroa National park and Isla Incahuasi included? Usually, no. It is an extra 150 BOB (about 22 USD). You also need to pay 30 BOB in cash to visit Incahuasi Island inside the salt flat. These fees can only be paid in cash and in bolivianos currency. Is there internet connection during the tour? No, there is no internet connection during the tours because it is a very remote location. Also, there will be no mobile phone signal either. Hence the only way for anyone to communicate is by radio or satellite phone. Near the border crossing with Chile there may be an opportunity to use an overpriced Wi-Fi (20 BOB for 15 mins). Warm and comfortable clothes. Take layers, as the temperature can change a lot during the day. Sunglasses and a strong sunbllock. Even if it feels cold because of the altitude, you are in the tropics and the sun WILL burn you. Camera - perhaps the most important. Camera and phone charger since electricity is only available in places with a generator inside the desert. Waterproof shoes or just flip-flops. The operator can also rent you rubber boots if you ask. A bathing suit and towel for relaxing in the hot springs. Toilet paper and napkins as they are not common in Bolivia, even in high-end places. A warm pyjama since it can get very cold during the night. Enough cash for entrance fees, souvenirs and toilet use (usually not free). Also, you should carry enough cash for any emergencies and your trip back from Uyuni. Extra water and snacks. Even though meals and drinks are provided during the tours, it is always better to have more in case you will get thirsty or hungry. Any medicines you think you might need. In conclusion the Salar de Uyuni in Bolivia is the highlight of any trip to Bolivia and is definitely one of THE must see attractions in South America. The town of Uyuni is reached by land mainly via La Paz, although it is also possible to visit it starting from San Pedro de Atacama or Salta in Argentina. Lodging and tour capacities are limited, hence it is strongly recommended to book salt flat tours in advance. Use Titicaca bus to travel between Puno and La Paz, and use Todo Turismo bus for your trip to Uyuni town. Furthermore, if you have any further questions or comments, please do not hesitate to contact us here.